This polyhedral image was created using Stella 4d, a program you can try for yourself, for free, at http://www.software3d.com/Stella.php. This is a waxing moon, meaning the sunlit portion we can see is growing. The outer curve also makes this view of the moon shaped more like the letter “D,” compared to the letter “C.” For the useful mnemonic here, remember that “D” stands for “developing.” D-shaped moons are in the waxing part of their cycle of phases, growing larger for about two weeks. 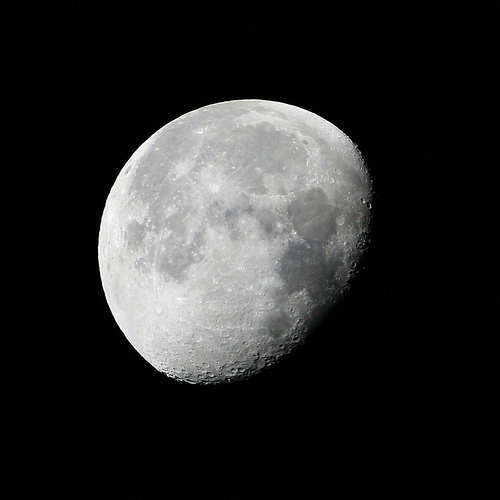 Later in the waxing portion of the moon’s cycle of phases, it becomes a gibbous moon — but retains its “D-like” shape. 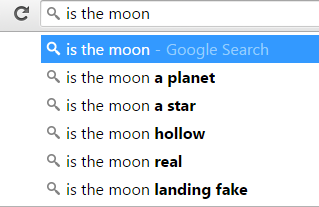 It is still slowly getting larger, approaching the full moon state. 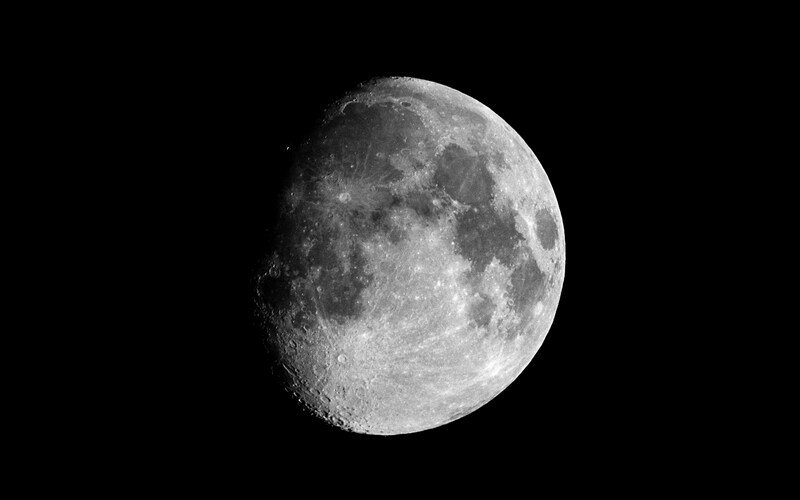 Here is another gibbous moon, but it is shaped more like the letter “C” than the letter “D,” and, in this mnemonic, “C” stands for “concluding.” This moon’s sunlit portion is shrinking, moving away from fullness, towards the new moon state — in other words, it is a waning moon. All “C-shaped” moons, as viewed from Earth’s Northern hemisphere, are waning moons. 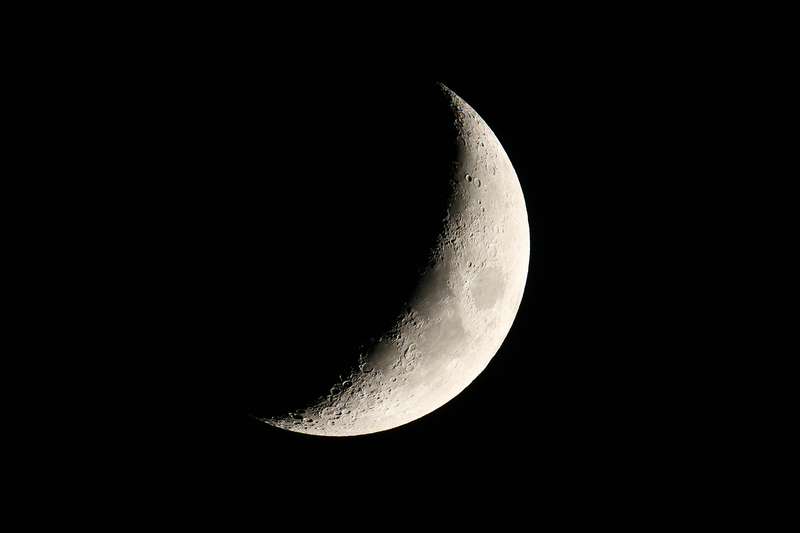 This crescent moon more closely resembles a “C” than a “D,” which is how I know, at a glance, that its phase cycle is concluding, and it is a waning crescent, soon to become invisible as a new moon. This last picture shows the most difficult configuration to figure out: the points of the crescent near the moon’s North and South poles both point up. Having them both point down would pose the same problem. 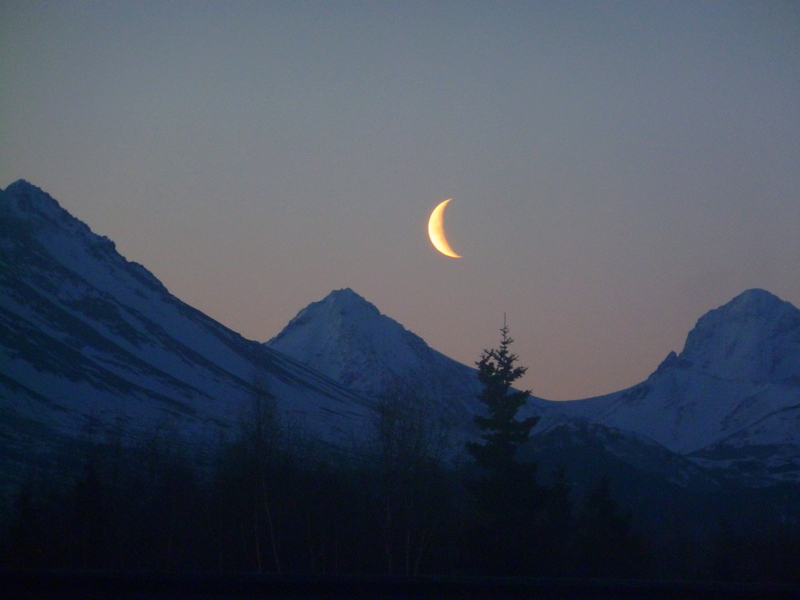 Here’s the solution, though: check to see which crescent-tip appears higher in the sky. In this case, it is the one on the left. 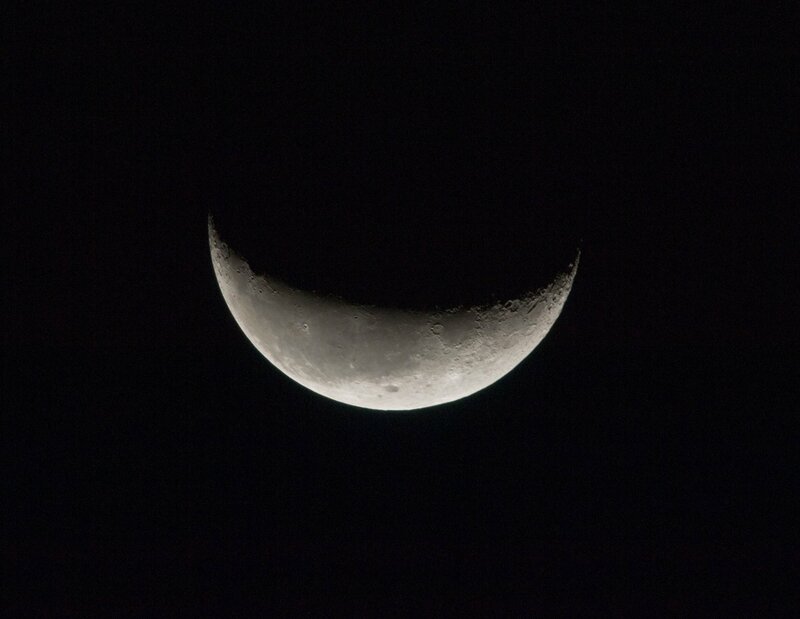 That shifts the curve at the bottom of the moon (the one that is an actual moon-edge, rather than the terminator) slightly left-of-center, making the visible moon-edge more closely resemble a “C” than a “D.” This crescent moon, therefore, is a waning crescent. Later addition: as a commenter pointed out, below, this method does not work from Earth’s Southern hemisphere — in fact, in that half of the world, the “D”/”C” rule must be completely reversed, in order to work. To accomplish this, “D” could stand for “diminishing,” and “C” could stand for “commencing,” instead.